The West Virginia-born Maillard (now a resident of Vancouver) wraps up a trilogy (Light in the Company of Women, 1994; Hazard Zones, 1996) with the kind of big, stubbornly old-fashioned narrative that was a publisher’s bread-and-butter in the 1940s and ’50s. Set in 1957 in Raysburg, West Virginia, the narrative follows 21-year-old Gloria, daughter of steel-company executive Ted Cotter and his society-matron wife Laney. On the surface, Gloria is a product of her indulged upbringing: prom queen, fashion plate, and country-club deb. But just as the heady swim of martinis, pool parties, and golf matches barely conceals the class divisions and sexual ambiguities underneath, so, too, Gloria is not quite what she seems. The party girl exterior masks a determined, ambitious intellect. Encouraged by her college advisor, Gloria has been accepted for graduate study in English at Columbia, an achievement not met with wholehearted approval by her family. 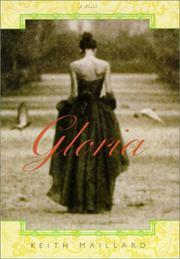 Over the summer, Gloria must wrestle with the question of what kind of woman she wants to be. Does she marry her beau, a handsome, unimaginative frat boy? Or does she immerse herself in a serious study of poets like Eliot, Pound, and Auden? Her final decision isn’t nearly as important as the journey she takes to get there. Neither is it as obvious as it might appear: Maillard makes us see the attraction of both worlds, as well as the alcoholism, infidelity, and misogyny that belie the outward complacency of the period. Gloria battles with her mother, reevaluates her formerly close relationship with her father and, in the story’s only unconvincing lapse into melodrama, fends off the crude predations of one of her father’s colleagues. In this long, leisurely (and occasionally meandering) novel, which contains not a trace of PoMo irony, Maillard does a remarkable job of examining his characters and their place in 1950s suburban American with a breadth and depth that, at its best, recalls Balzac or George Eliot. A meticulously observed, immensely satisfying finale.